I accept most health insurance plans, auto accident, workers compensation, and personal injury. Since there are so many plans and coverage varies widely, please call us to find out if your plan covers care in our office. We will do our best to verify and explain your benefits before treatment. What are the provider's hours? Dr. Kouzes- Currently on Maternity Leave and returning in January 2019. Dr. Kate Herold will be seeing established platients on Thursdays at the new location in downtown Beaverton in the office of Balance NW. New patients can be scheduled starting January 2019. Yes, we offer chiropractic care for pregnant women. Dr. Kouzes enjoys treating pregnant patients, and has often dramatically reduced patients discomfort and made the pregnancy experience more comfortable. Our office has a “pregnancy pillow” so pregnant patients can choose to lie face down while receiving treatment. Chiropractic manipulation is a highly controlled procedure that rarely causes discomfort. There are many options for chiropractic adjustments and Dr. Kouzes will work with you to find what you are most comfortable with. You may have some soreness after an adjustment, but most patients feel relief soon after treatment. Drinking plenty of water, using an ice pack, and engaging in light stretching after your first visit may help ease any discomfort and help promote healing. Do you see and treat children? Yes! Please call our office for further details. 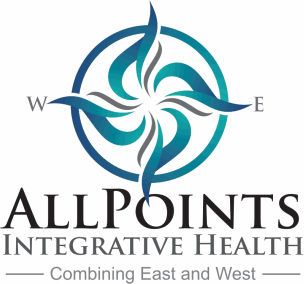 Do the services offered at APIH require a referral from my Primary Care Provider (PCP)? A referral is usually not needed to see a chiropractor; however, your health plan may have specific referral requirements. You may want to contact your health insurance plan directly to find out if there are any referral requirements. Our office would be happy to contact them for you as well. However, most plans allow you to just call and schedule an appointment with a chiropractor. How long will my intake paperwork take to fill out? We are happy to send your intake paperwork to you in advance for your convenience. Do you work with other providers in the community? Yes, Dr. Kouzes routinely sends chart notes to your PCP, referring physician or specialist (with your approval), and is happy to work and coordinate care with other healthcare providers. If you have any further questions please feel free to call our office!